The most famous topdeck. The best-loved Standard environments. Arguably the most powerful limited bomb of all time. Ravnica is the backdrop for so many of your players’ beloved Magic memories—and now it’s time to make some more. With kits landing in stores starting now, and previews firing up in earnest next week, Guilds of Ravnica season is officially underway. Call your distributor and get your advanced boxes for Prerelease. 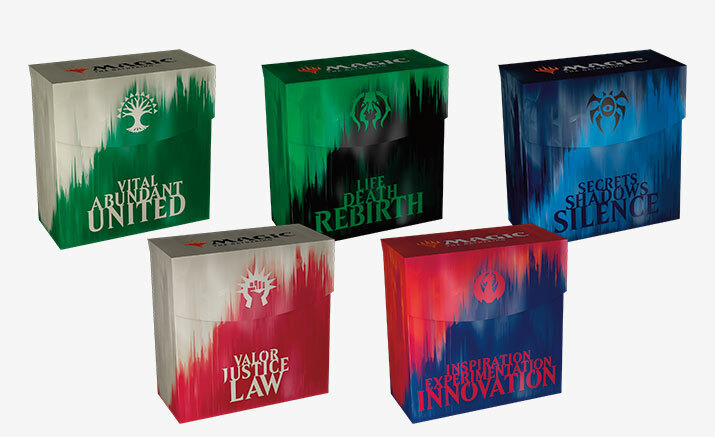 Once again, WPN members are eligible to sell advance boxes at Prerelease in quantities equal to the number of Buy-a-Box promos they receive (20/40/60 for Core, Advanced, and Advanced Plus, respectively). You chose your distributor when you signed up for Prerelease—call them now! 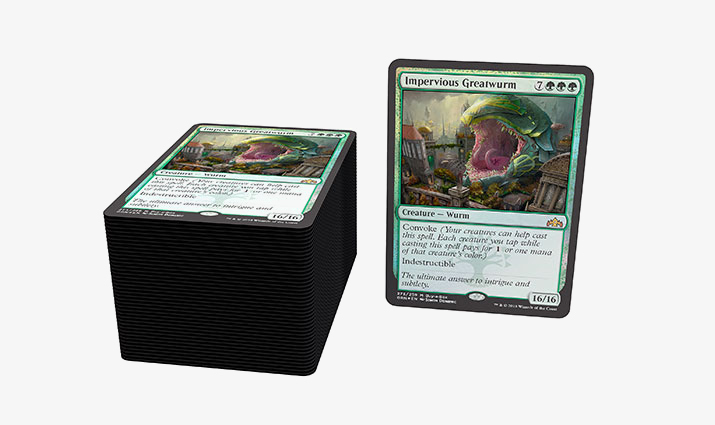 More good things: with each box you sell*, you’ll hand out literally the biggest creature ever printed with a black border. If anyone wants to put sixteen power on the board—for as little as zero mana, hypothetically—all they’ve got to do is stop in and pick up a box. 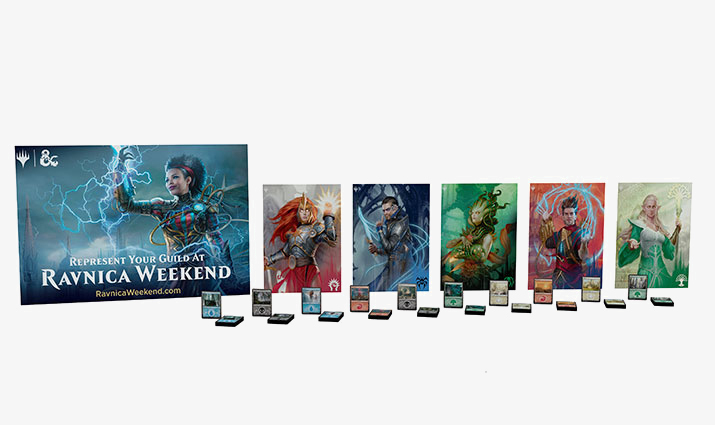 Prep for Ravnica Weekend—4-pack drafts, Guild Kit battles, and D&D. On the weekend of November 9 comes a chance to boost attendance mid-season, plus move some Guild Kits and Guildmaster’s Guide to Ravnica (the upcoming Magic/D&D crossover) landing November 2 and November 9, respectively. Ravnica Weekend is simple. Run 4-pack drafts using Guilds of Ravnica, casual matches using Guild Kits, and D&D sessions using a preview adventure from Guildmaster’s Guide to Ravnica. You’ll run it in WER more or less like FNM: Guild Kit battles are player list only (no rounds, no pairings); 4-pack drafts are typical Booster Drafts, and if you fall short of eight players, you can cancel them and reschedule as casual events. Feel free to add generic Magic events as necessary throughout the weekend. The preview adventure will reach you via email. The rest of your kit will deliver around October 1–5, and it’ll include a poster, 10 11x14” guild prints, and twenty basic lands. The poster is for advertising, the rest is for prizes. Start Prerelease preregistration no later than 9/17—packs are guild-based. Preregistration is a proven attendance-booster, and it’s especially important this time around. Prerelease Packs are guild-based—there’s one for each of the five guilds in the set—and offering players first pick is a good incentive to preregister. Manage Standard rotation carefully—four sets rotate out. Guilds has a shot at transforming Standard in a major way: Kaladesh, Aether Revolt, Amonkhet, and Hour of Devastation all rotate out. It’s a huge shift: we’re going from about 2,000 cards in Standard to about 1,200. Almost 1,000 cards are about to make their exit to make room for new blood. It’s a good thing—a few menaces are about to retire, a few fresh strategies are bound to emerge—but take care to make the transition as painless as possible for your players. One way to do that is to temporarily tune Standard events to reward participation, rather than focus on competition. Deckbuilding nights, casual prize pools—the best way to avoid the impression that they need fine-tuned tier one decks right out of the gate is to make it so they don’t. Remember to run Prerelease “main events” using actual Prerelease events in WER—not Prerelease Parties. Retail Support asked us to throw this one in: remember to choose “Magic Prerelease: Guilds of Ravnica” when you run your main events. If you choose a Prerelease Party, those players won’t count toward your allocation for Ravnica Allegiance. Get started now! You’re not ready for Guilds until you can check all five of these boxes.